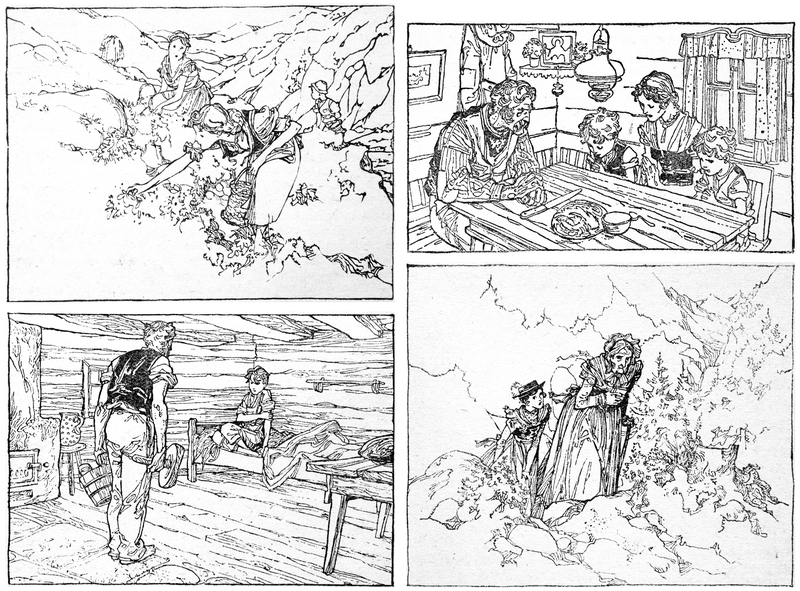 JOHANNA SPYRI, 1827 – 1901, was a swiss author of children stories. 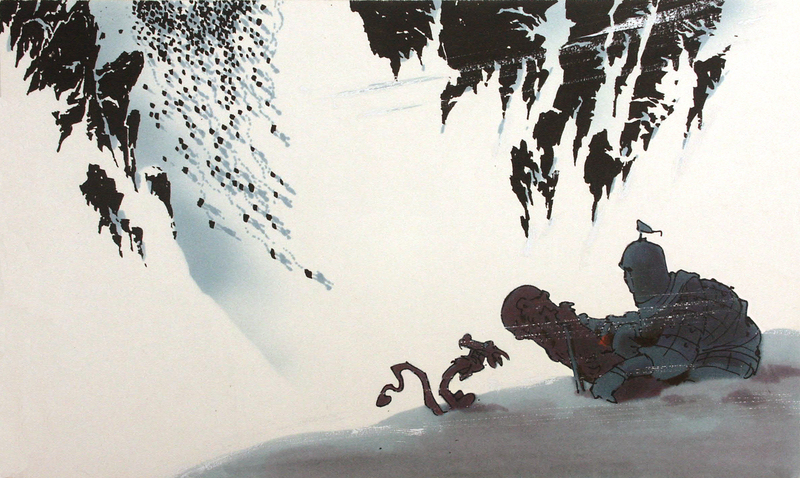 probably her best known book is HEIDI, what some of you might remember as a japanese ANIME series – HEIDI, GIRL OF THE ALPS, produced in 1974. the series was directed by ISAO TAKAHATA and – HAYAO MIYAZAKI did the scene design and the layout! 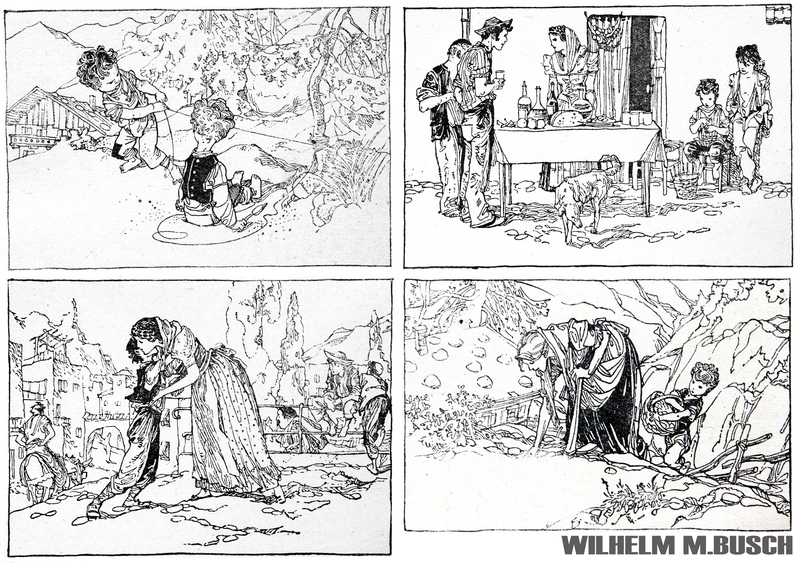 WILHELM M.BUSCH illustrated in 1948 a collection of 6 stories by johanna spyri- AUF BERGESHOEHEN -, HEIDI AUF DER ALP was one of them. 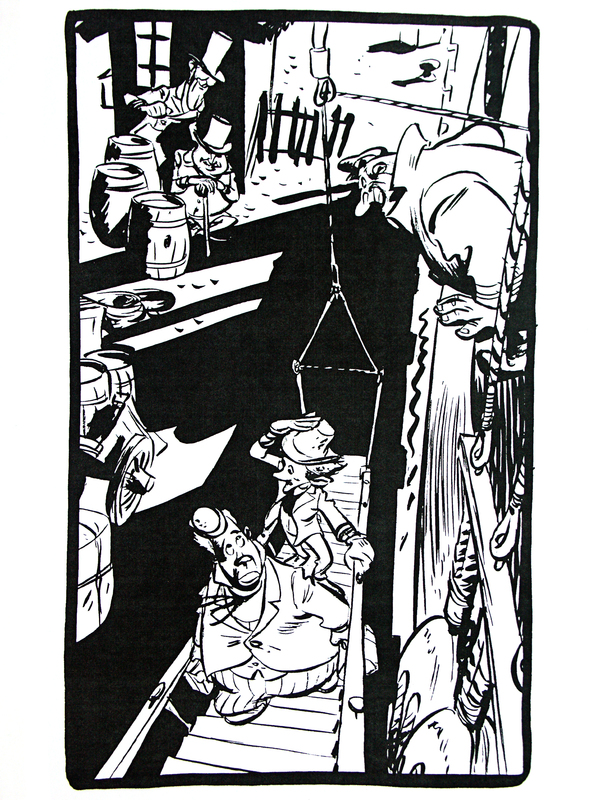 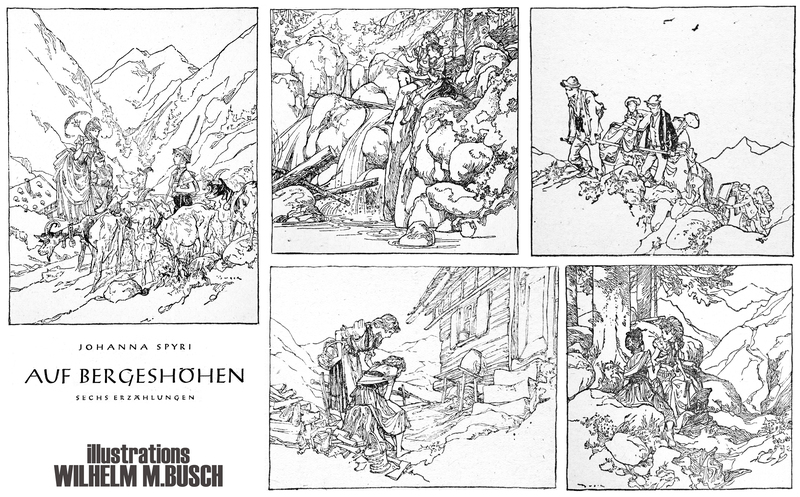 the illustrations are all drawn in pen and ink, but you can still see the influence of the woodcut technique, wilhelm busch concentrated on for a while during his studies.